Pastor Duane is ordained as a Pastor through the Assemblies of God International Fellowship. He completed final examination in Scotland, United Kingdom, in 2008 with a specialty study area of the Holy Spirit. He also holds a Bachelor's Degree in Business from the University of Colorado at Boulder. 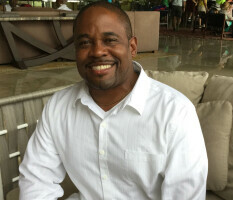 Pastor Duane has a 30 year career in corporate America and has owned various businesses. Outside of church he fashions himself as a Barbecue Aficionado/Grill Master. He loves to travel the world for ministry, business, and vacation to explore and meet people of different cultures. He has a passion for deep understanding of God’s Word and loves sharing it practical terms that are easily adapted to everyday life. He takes his role as a husband, father, and son as a pure gift and pours himself into each one which brings him great joy. He is totally stoked about pastoring and has a love for people of all ages, ethnicities and backgrounds. His smile will welcome you, his genuine humility draws you in, his love for people keeps you coming back! 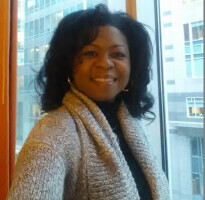 Pastor Lisa is a Ministerial graduate from the Minnesota Graduate School of Theology. She also holds a Bachelor's Degree in Public Administration from Colorado State University in Pueblo, Colorado. She is a very anointed Psalmist and leads Praise and Worship at LCE. She is loving and kind, has a big heart for children, and loves to travel and eat ice cream. She's very sweet.